David Morris is the founder of QB Country. He is a 2002 Graduate of Ole Miss where he was a Quarterback & 4 year Letterman. He is a 1998 graduate of McGill-Toolen Catholic High School in Mobile, Al and in his Junior Season was named a USA Today Honorable Mention All American. After his record-breaking high school career, David did not receive any D-1 offers and turned down D-1AA and D-2 offers to pursue his dream of playing Quarterback in the SEC. As a former second-string QB for Ole Miss (1998 – 2002), Morris traveled with starter and four-year roommate Eli Manning, who went on to be first pick in the 2004 NFL draft and a Super Bowl MVP. After graduation, Morris went into full-time real estate work and trained aspiring quarterbacks on the side. 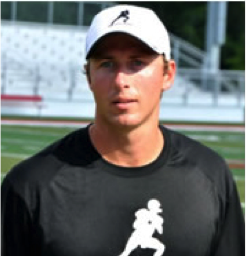 In 2010, he reversed his career track and founded QB Country, a year-round training and development program for local middle and high school quarterbacks, as well as those at the collegiate level. QB Country currently operates in 8 locations across the US.